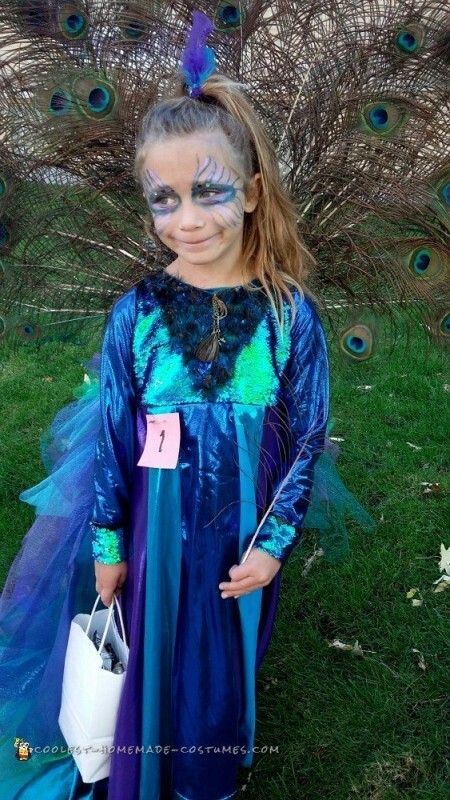 I made this peacock Halloween costume once before for my girl when she was 3. 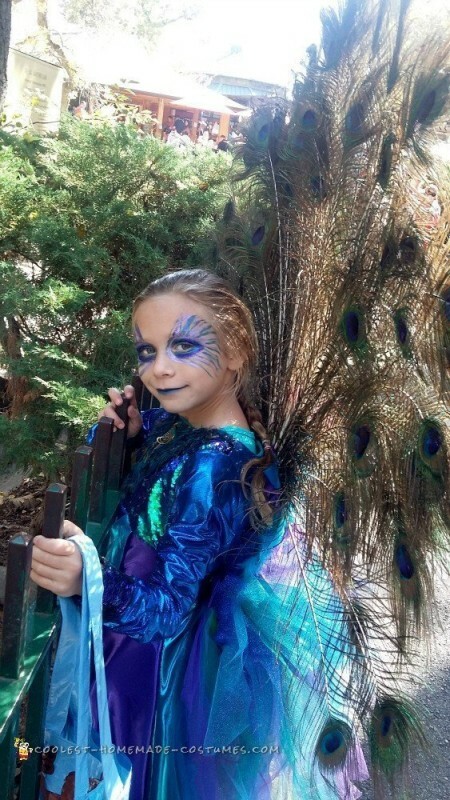 Now she is 7 and wanted to be a peacock again. I took the old costume (which was too small) apart. I used the back and side pieces and the front piece from old costume and I added teal and blue colored fabric to the new dress. I also added reversible peacock colored sequin fabric to the front and a detachable layered tutu skirt on the back. I used the same feather piece I made for the old costume. 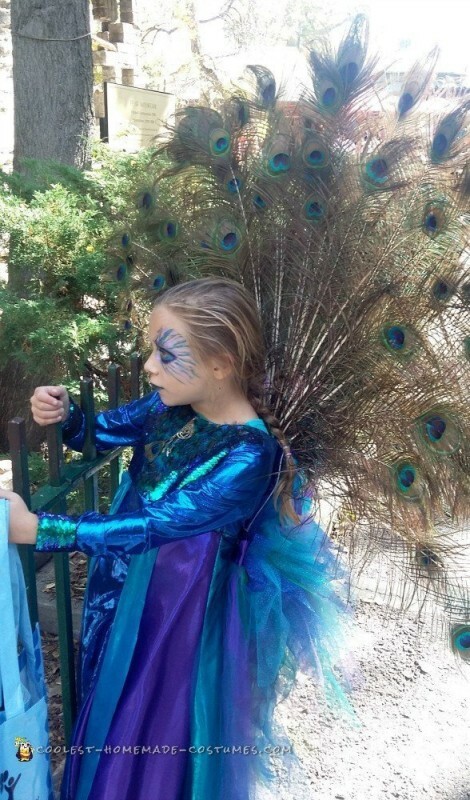 Everywhere my girl went people commented on how beautiful her costume was. It was the best costume they had ever seen. About 50 or more people stopped and asked if they could take her picture. 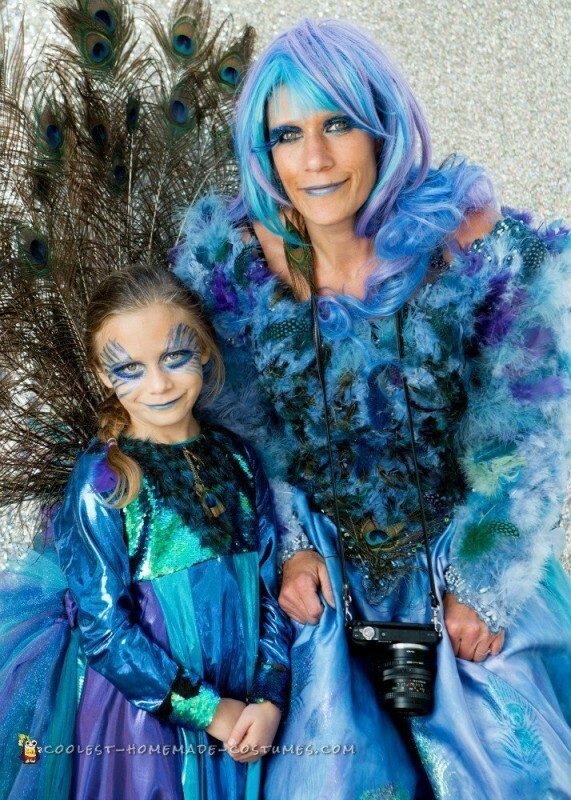 She entered 3 contests (ages 6 to 18) and won first place in all of them. It was like being with a celebrity being followed by the paparazzi.